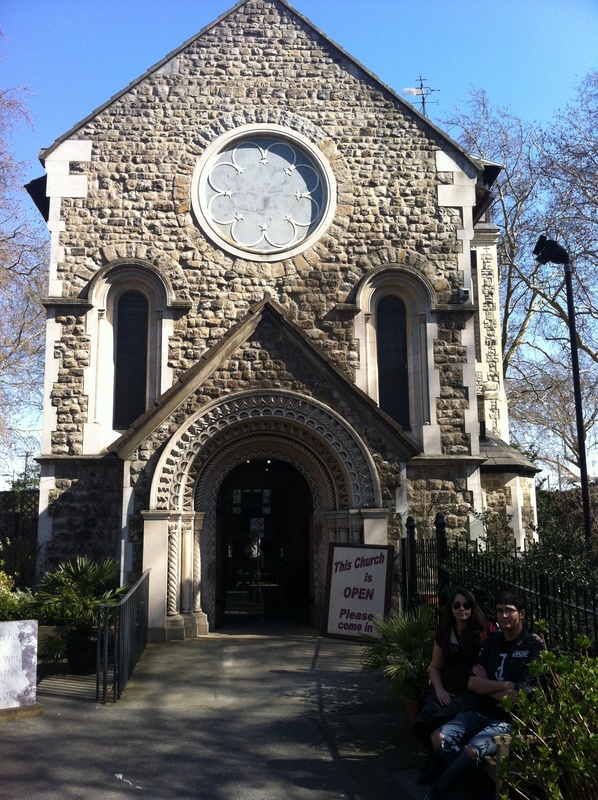 St. Pancras Old Church in London is where my great-great-great grandfather and grandmother, Thomas Henry Leitch and Mary Ann Peacock, were married in 1850. It is also where Mary Ann’s parents, John Dowsing Peacock and Elizabeth Pool, were married in 1823. This church has an amazing history and has stood there since 314 AD, making it one of the oldest sites of Christian worship in Great Britain. An old lady at the church told us that many visitors from the US or Australia come to this church to see where their ancestors worshiped. In the 1800s, St. Pancras was a poor area and most people living there eventually emigrated elsewhere… Thomas and John were tailors, and Thomas emigrated to Canada some years after his marriage. It was very special and exciting to see this place of family history. I imagined my great grandparents getting married here, walking through the gates and starting their lives here. Does anyone know which cemetery in Lewisham, London that William Leitch (1791-1874) is buried in? I lived in London for a year and a half and could not find that information. Someone has to know… anyone?? Any information you have, please tell me. One good thing did come… a distant relative (through the Leitch line) contacted me this summer. Unfortunately, we did not get to meet as he lives in Wales and I was too busy to follow up. 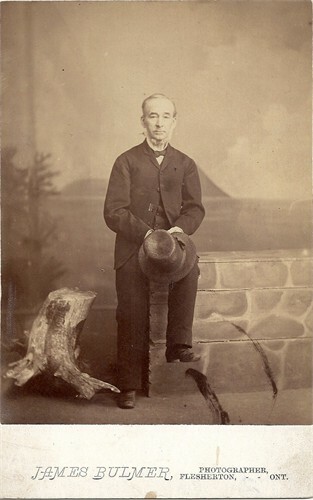 On a search through Ancestry.com tonight, I found he had added another image of my great-great-great grandfather, Thomas Henry Leitch (son of William). so I am here living in London now, and it’s always been a dream of mine to see the birthplaces (and gravesites if possible) of my ancestors. The Leitch family hails from (no pun intended) Middlesex and Kent. I’ve made a family page for them with all the photos I have, so be sure to check it out. Kent still exists, but Middlesex does not. It was absorbed by the expansion of London in both the 18th and 19th centuries, and now is only known as an area of the city. To see the birthplace of Mary Ann Harriet Peacock, 1829-1898 (married to Thomas Henry Leitch) I would need to go to St. Pancras, Middlesex. When trying to Google this location, I didn’t get any results. Basically, St. Pancras is now known as Camden – where I’ve already been. My friends and I like to go to Camden for the open air markets and fantastic people-watching. I can’t believe I walked around an ancestor’s birthplace and didn’t even know it. Of course, this happened to me when I went to Nice, France – my great-grandfather Roy was stationed there in WW1, and the only photo of him I have was taken on the same beach I vacationed at – and had no idea. 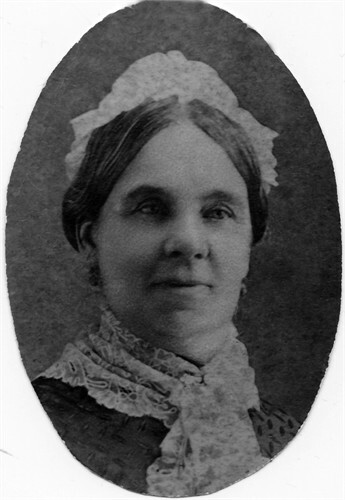 Christiana Mills (Thomas’ grandmother – sorry, no picture!) was born in Southwark, Middlesex in 1755- where I’ve also been – it’s a stop on the London Underground when I was on my way to Borough Market for an applefest last weekend. William Leitch, 1791-1874 (father to Thomas, son of Christiana) was born in Kent but died in Lewisham, another borough of London. I mostly definitely want to take a train there to see if I can find his gravestone. I also plan to go back to Camden and Southwark to see what I can find. There is a site for the Lewisham Local History Society, which I’m happy I found so I have a place to start looking.